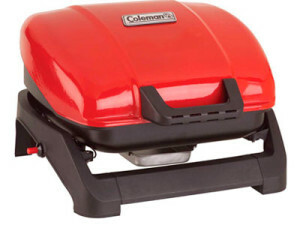 In terms of performance, this grill is efficient since it heats up quickly with no problem on start-ups. It can withstand heavy winds and can cook food easily maintaining its natural flavor. When you are done with your cooking and grilling job, this piece is very easy to clean. It is durable and reliable that you can take it with you as long you want when you go outdoors such as camping or tailgating. Minor issues were found in this table top grill. The design is found to be compact but very heavy. There are some problems on removing the grill which was found to be difficult thus it is also very uncomfortable to keep it clean especially when there are frequent drips from the foods cooked on its surface. You need to be more patient on dealing with this.